Are you looking for a custom green home building? Our environment is constantly changing, and it’s important to be environmentally aware and active about it. If you are considering on building a green home, you have the opportunity to save not only with the construction materials but also implementing energy efficient equipment. Eco Home Builders has the experience of creating green spaces for families who care about the environment. At EHB we can design and manage all aspects of a green home building construction from beginning to completion. Our green home constructions will not only engage you and your family in a positive atmosphere but in the long run, living green will save you thousands of dollars. We use sustainable building materials in every part of your home such as the roof, cabinetry, counters, and wall insulation. The flooring could also be environmentally friendly with reclaimed lumber. The use of natural products such as bamboo, cork and linoleum are also made out of natural and renewable materials. Do you want to save on electricity? 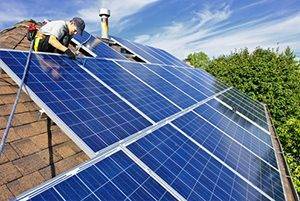 Solar panels are a clean and renewable source of energy. The emerging technology nowadays helps us utilize the natural power all around us. The long-term savings can turn your life from black to green. 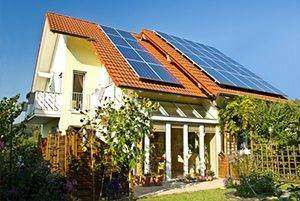 Also, government grants are available, and tax breaks are a bonus to those who want to use solar power in their home. A proper insulation is one of the most important things we consider when building your home. Heating and cooling are factors to consider because 50% of your house energy consumption depend on the energy savings equipment we could install for you. These would not only reduce your power consumption but will bring down your electricity bills. Eliminate the stress of paying high monthly bills. Save money today for your children's and your retirement tomorrow by going green! Do you have any more questions? Book a FREE appointment now at 954-665-0852 or click HERE and fill out a quick Form! Green Home Building	Overall rating:	5	out of 5 based on 8	reviews.